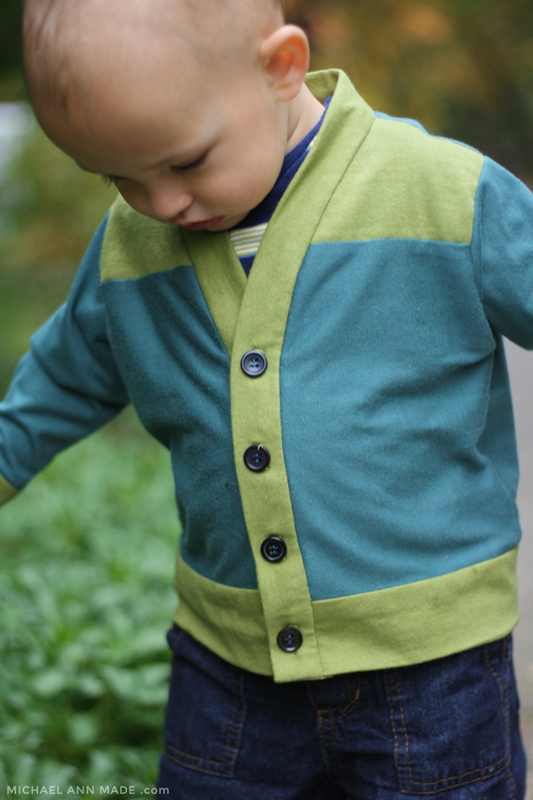 I would like to introduce you to this little Mix and Match Cardigan! (just without the shawl collar). 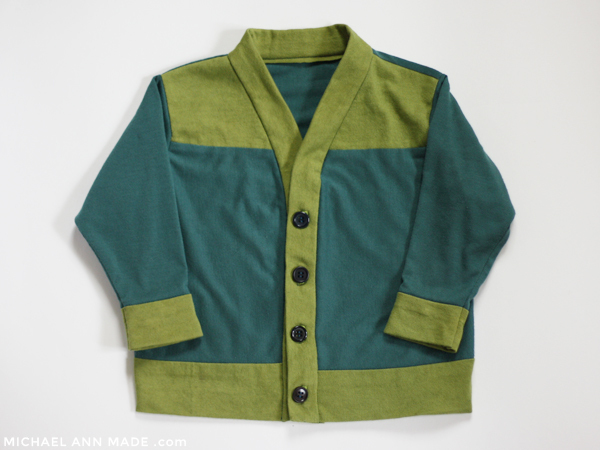 It was interesting to see how different this sweater came out with such a different weight material. I'm pretty dang pleased with this hipster little number. and tried out a little color mix and matching. 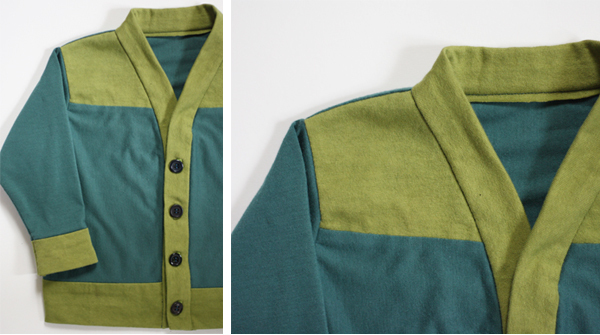 I think it's the proportions of the bottom binding vs. the shoulder color block... I don't know. so I had to do some clever cutting and piecing. but now I know better than to skimp on arm width! I'm just so happy that this KCW challenge has jump started me back into sewing clothes! Clothes sewing was my first love, and will always be my truest love. although I already know it's going to take a bit of discipline to sew this weekend. How has your KCW been turning out? Anywhere near accomplishing everything on your list?! 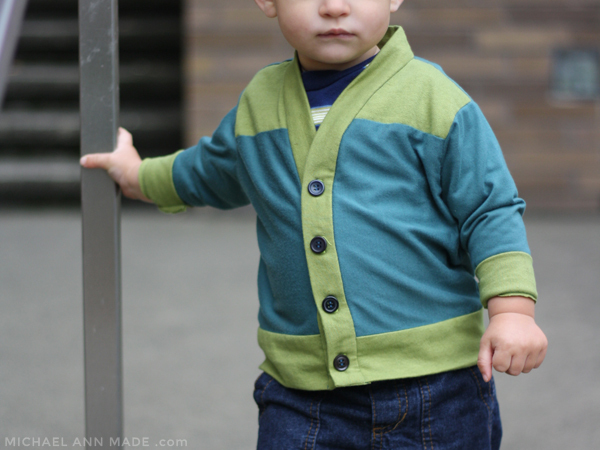 What a cute cardi! Love the colors! Ooh I love it! The colors are great and so masculine! So happy to hear that kcw got you back doing something you love! 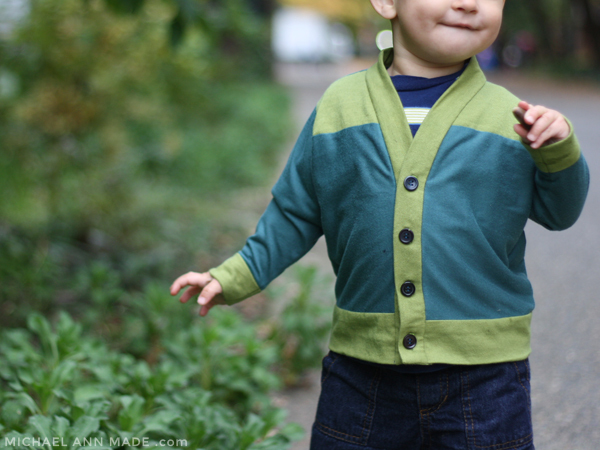 And the cardigan turn out super awesome! My list was pretty small but there was one thing I didn't get to finish. Made the practice version, but didn't get to do the 'good' version. Otherwise I was happy with what I achieved.